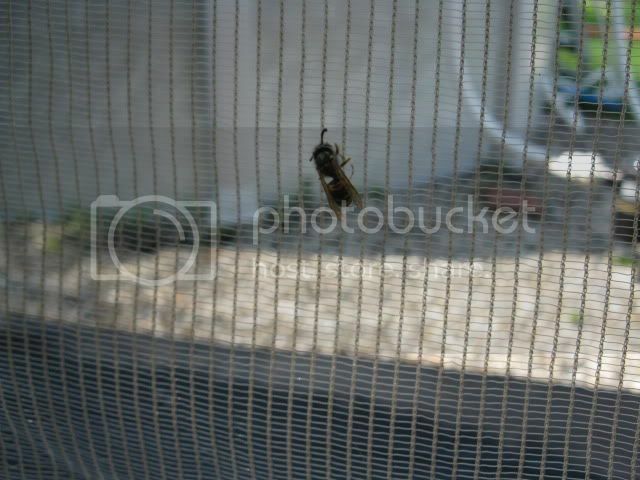 First is the spider who has made a web behind the pool ladder and then there is the wasp (I think its a wasp) who I think is dead because I was right up in it's face with the camera and it never even moved. those are really clear pictures. there really cool to. I love spiders.Wasps...eh...I don't mind them,as long as they stay away from me! Ants? Why??? I like them. There are a ton of wasps around here now too.They always come out more during August and September. 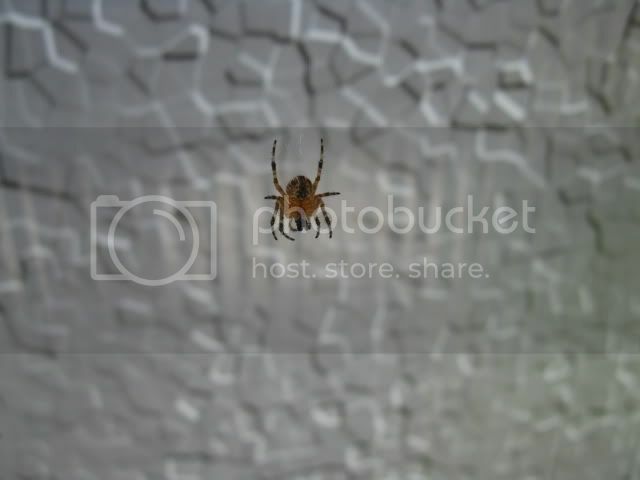 spiders are ok but i don't like them running around by me or when i run into a spider web that i don't see. yuck!! they creep me out so much!! 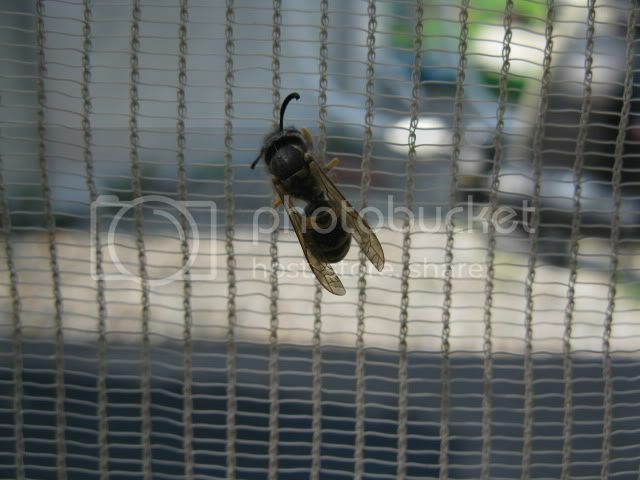 except wasps don't bother me, i don't want them stinging me or anything but they are fine to be around. 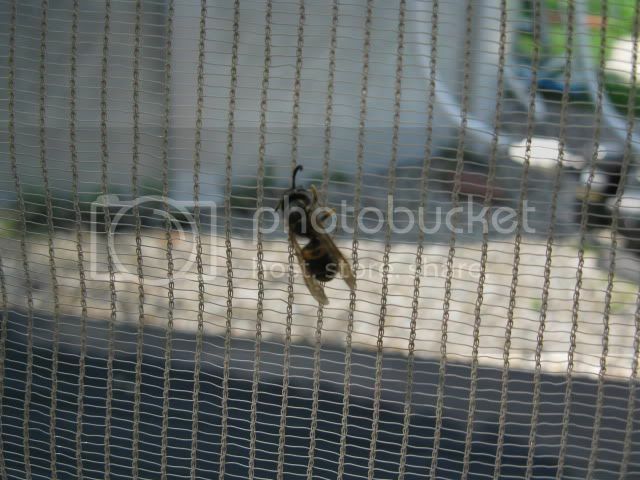 wasps and bees i'm terrified of. i will scream if one is flying next to me. 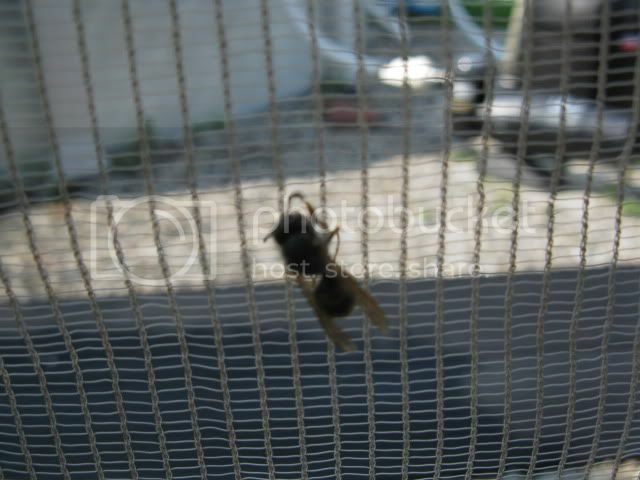 Not fond of wasps, but I dont mind them as long as they stay away from me. Once I stepped on one, and it stung my toe! 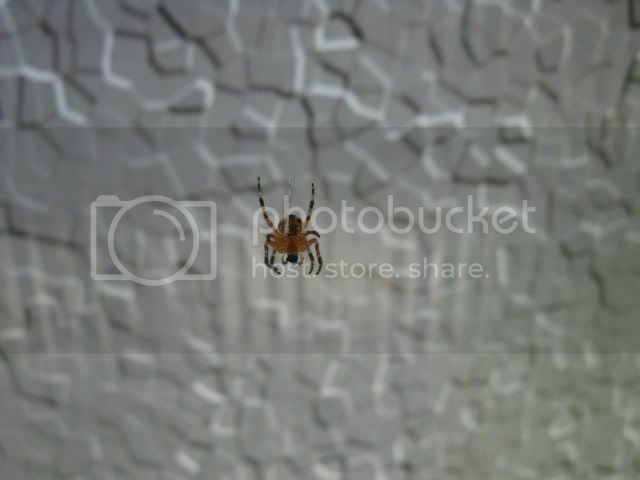 I keep a spider and a big web in thecorner of the storage room. He is good at catching and eating. Very cool photographs, although I hate both those things, lol.